It’s over 100 degrees Farenheit and I am dripping sweat as we enter the home of a mother who has recently given birth at a Lao hospital using a Clean Birth Kit, supplied by my organization CleanBirth.org. She is wearing a long skirt and hooded sweatshirt. Under the platform bed where she sleeps a clay pot is filled with glowing coals. Her newborn baby sleeps under blankets with mittens on her tiny hands and a knit cap. The mother, sweating profusely, is drinking piping hot herbal tea. She eats chicken four times a day and showers in the hottest water she can tolerate four times a day. Her four older children and husband are nearby, taking care of her and the household while she recovers. 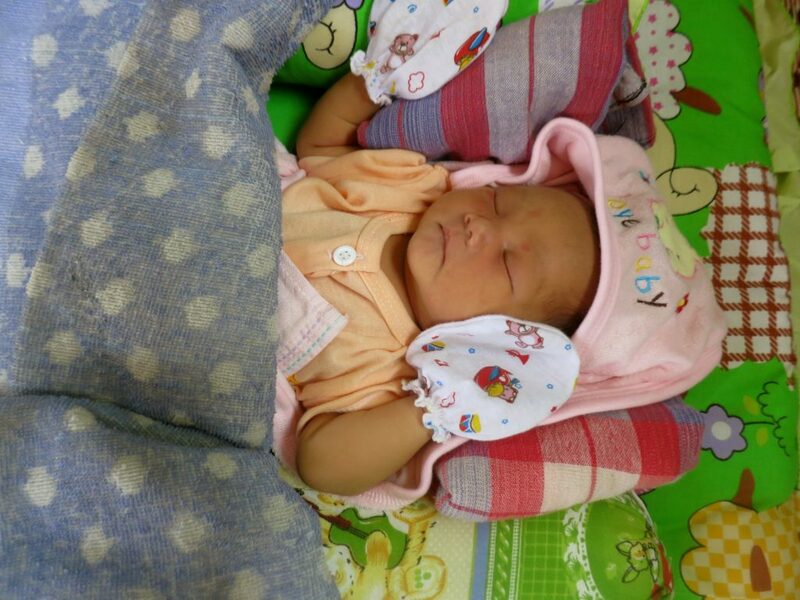 This is a good birth story in Laos where my organization CleanBirth.org works. This mother birthed naturally with a Clean Birth Kit under the watchful eye of a trained midwife. Her traditions were respected and she and baby left the hospital healthy. 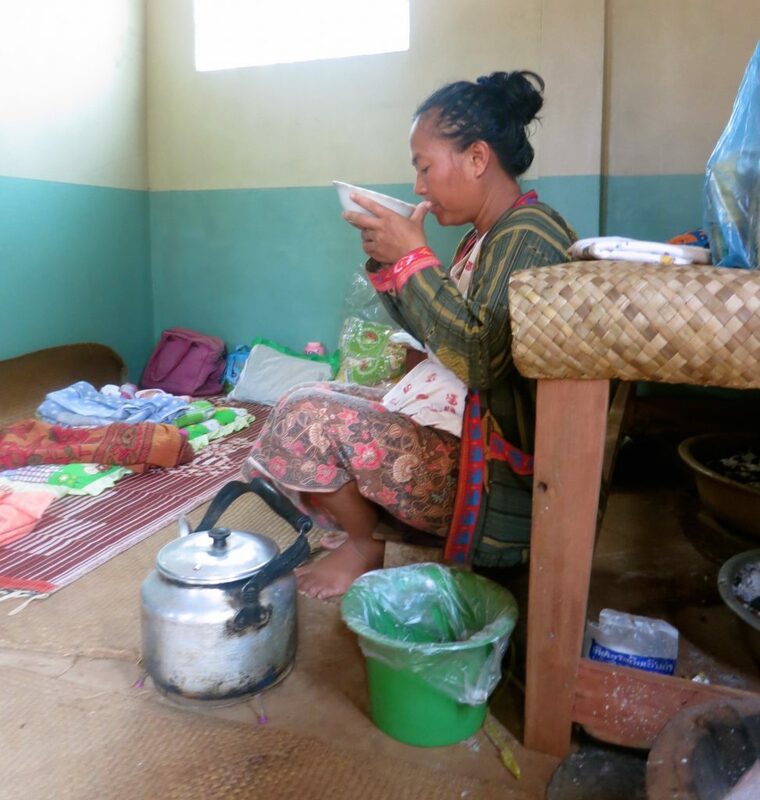 However, many birth stories in Laos don’t tell the tale of mothers and babies surviving birth. A nurse at a rural clinic told of a 45-year old mother, pregnant with baby #14, who came into the clinic for help during labor. Her membranes had been ruptured for 29 hours and she arrived at the clinic exhausted. After a normal vaginal delivery, the newborn could breastfeed but was weak. He died 9 hours after birth, likely of an infection. The clinic does not have IV antibiotics, so the nurses were powerless to fight the infection. World Moms help CleanBirth.org empower nurses. My visit to Laos last month was my fifth training trip with CleanBirth.org, the organization I started in 2012 to empower women in Laos to have safer births. Since 2012, we have provided 5,000 Clean Birth Kits and training for over 250 nurses. This March, with my Lao partner organization ACD, we trained 71 nurses in the use and distribution of Clean Birth Kits and the WHO’s Essentials of Newborn Care. Five of those nurses were fully funded by World Moms Blog donors, who gave $1,100 during our February fundraising campaign. Our twice-annual trainings give nurses new skills and confidence. We also supply them with as many birth kits as they need throughout the year. The trainings and subsequent improvement in care in the 31 clinics we serve, has led my Lao partner organization to ask that we fund an additional 13 clinics and a local hospital. When we visited the local hospital, midwives there told us that of the 50 births they see per month, 35-40 mothers bring with them our ayzh Clean Birth Kits — which they received at their local clinic. The midwives praised the convenience/effectiveness of the kits. They asked CleanBirth.org to provide around 10-15 kits per month directly to their hospital for mothers who don’t have a kit. This we will do. It is a huge endorsement of our program to have our local partner and a hospital asking to expand our work to new areas. This means that they are seeing the benefits and that locals are deciding the future direction of the project. They are in charge. My role as founder of CleanBirth.org will be to continue finding funding for kits and training. For just $5 we can prevent an infection like the one mentioned above. If you’d like you join our small but mighty effort please donate www.cleanbirth.org/donate. Thank you World Moms for all of your support! Such a great intiative Kristyn!!!!! 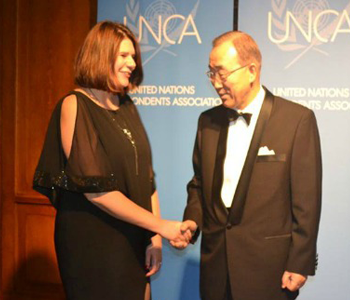 Way to go, Kristin!! We are so proud to be a small helper in your huge efforts! Congrats on your training, and we look forward to helping you with the new work to be done! Thank you Jen. 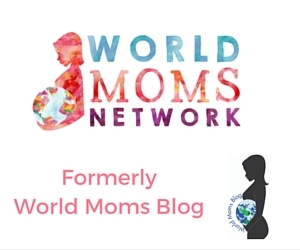 Words cannot express how much I love have the support of World Moms Blog.